The car owners did not think that the car should also pay attention to doing seasonal maintenance work, which plays a key role in extending the life of the vehicle. For car owners who like to save time, paying attention to the maintenance of cars during the season can save a lot of maintenance costs. 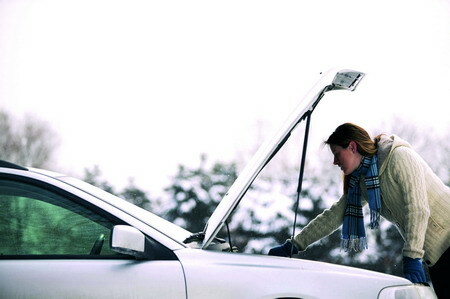 During the season, car maintenance is more critical. The number of tires is the highest. As the only component of a car that touches the ground, a tire can be said to be the hardest and most exhausting during the running of a vehicle. At the same time, it is also closely related to the safe driving of vehicles. Everyone learned that the physical phenomenon of thermal expansion and contraction of rubber occurs when they were young. In summer, the pressure of tires is relatively low. In the autumn and winter seasons, when the temperature in my district really drops to about 10-15 degrees Celsius, the owners of the tires will Pay attention to the tire pressure, keep the tire pressure within the specified pressure range. At the same time, the presence of scratches on the surface of the tires is also a concern for vehicle owners. Rubber tends to harden in the fall and winter seasons and its texture becomes brittle. At this time, tires are prone to air leakage, and it is even more likely that tires will puncture tires when they reach the bumpy road. The summer air-conditioning system is overloaded with hot summer weather, high temperatures, and the car air-conditioners are often overloaded. In addition, due to the summer rain, the cars often walk on some wading roads, causing the air-conditioning condenser to be contaminated by many silts on the lower part of the air conditioner for a long time. It will make the condenser rust, thus shortening the service life of the air conditioner. Therefore, when entering the fall, when the frequency of use of the automobile air conditioner is reduced, it is very important to perform maintenance on the air conditioner at a proper time. Otherwise, this car air conditioner will be troubled by the next summer. The temper is troublesome. In addition, when winter arrives, the owner may turn on the heating system of the car air-conditioner and try out whether the heating system can work normally and whether there is any odor. This can also determine whether the air-conditioning system needs to be cleaned. The driving environment can not be neglected because of the strong airtightness of the carriage and the convection of air in the vehicle is not easy, and harmful substances are more likely to be produced in it. In summer, the rainy weather makes the internal cleaning of the carriages more frequent and many owners feel very cumbersome. But in the fall, it's a good time to do a thorough cleaning and disinfection of the car's interiors and components. The plush toys, seats, carpets and foot mats in the car are places where dust and bacteria can easily accumulate. Especially after summer, the weather contributes greatly to the growth of these bacteria. Therefore, in order to be able to clean the car more thoroughly. Internally, car owners can also choose to go to a car wash beauty shop with professional tools to do this maintenance work. Key Features: good elasticity, chemical stability, can be sealed to provide an effective role, use and ease of installation. Major uses: used in pumps, valves, expansion joints and other parts of the seal, in the petroleum, chemical, instrumentation, thermal power, shipbuilding, nuclear power, aerospace and other fields are widely used. Product Specifications: DN âˆ® 6-1500mm and a variety of special-shaped ring packing.